Barcelona came from a goal down to defeat struggling Rayo Vallecano 3-1 and restore their seven-point lead at the top of La Liga. Lionel Messi scored one and assisted another at the Camp Nou to make him the best in both departments in Europe’s top five leagues. Real Madrid coach Santiago Solari was under pressure after that disastrous performance which saw his side lose 4-1 to Ajax. 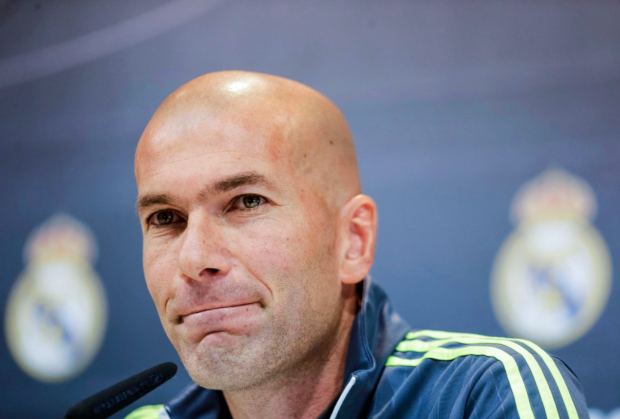 Los Blancos, who recently re-appointed Zinedine Zidane, redeemed themselves by thrashing Real Valladolid. Atletico Madrid had a tricky encounter against Juventus on Tuesday but they cannot afford to drop anymore points if they are to win La Liga. Real Sociedad will continue their challenging schedule on Friday evening when they play host to 15th-placed Levante at Anoeta. The Whites and Blues played the likes of Atletico Madrid and Sevilla in their last two games. They offered strong attacking showings in both, but ended up losing both games. Imanol Alguacil’s men are now five points shy of bitter rivals Sevilla in the battle for the Europa League spot. Goal scoring is a major problem for Levante, the team has only scored in two of their last 10 games, losing seven matches. Back Real Sociedad to return to winning ways. Alaves dropped two crucial points last weekend when drawing at home to Eibar, meaning they are now four points behind fourth-placed Getafe. These are important games for the visitors and they should pick maximum points if they are to get that top four finish. Huesca had relegation all but confirmed until the debutants shocked the world by pulling one of the best performances beating teams like Sevilla and Girona. The hosts are now four points from safety and they have every reason to believe. Get on Huesca to upset Alaves at 15/10. Real Madrid’s disastrous season continued when they were eliminated in their favourite competition last week, losing 4-1 at home to Ajax. Los Blancos were also knocked out of the Copa del Rey by Barcelona meaning the Spanish giants will finish the season without any silverware. Solari’s men bounced back and thrashed Valladolid 4-1 with Karim Benzema scoring a brace. The only logical thing Real Madrid should do is fielding younger players and groom them because they will not finish outside the top four and they won’t break into the top two. Back Real Madrid at 3/10. Atletico Madrid and Barcelona have been locked in an eternal battle for the La Liga title since the start of the season. Both teams are enjoying some top form winning four matches on the bounce. Now, with just 11 match-days remaining, their prime objective would surely be the league trophy. Athletic Bilbao disappointed last Friday when drawing at home to Espanyol. This is a very tricky encounter for Diego Simeone’s men especially after they travelled to Italy for their Champions League clash against Juventus. The visitors will be high on confidence after winning their last four meetings against Bilbao. Back Atletico to make it five in a row. Leganes have enjoyed playing at home this season, losing just one game. Girona are not so bad on the road; the Catalan club have picked up 19 points on their travels including winning at big grounds like the Bernabeu. Leganes have never beaten Girona in a La Liga fixture and that’s something they will be looking to end on Saturday. Both these sides have defensive problems and they are conceding a lot of goals recently so one can fancy a both teams to score. As the form suggests back Both Teams to Score at 11/10. Real Valladolid were cruising through their season until disaster crept up unexpectedly. They were in the top half of the log in December and relegation talks were out of the question. Now, the visitors are three points away from the red zone with horrendous form of winning once from 13 matches including losing their last four matches. Eibar have lost twice in the last 14 matches and both those matches were away to Barcelona and Atletico Madrid. Back Eibar to claim maximum points here. With Sevilla now out of the top four, pressure is starting to creep in on their head coach with fans calling for him to be sacked. Espanyol’s major problems has been a lack of consistency with the team blowing hot and cold. At home, they were one of the best sides in the league and visiting the RCD was an uphill task for any opposition. The hosts have managed eight wins from the 13 matches played. On the other hand, Sevilla have lost their last five away matches including defeats against Huesca, Celta Vigo and Villareal. Get on Espanyol to upset Sevilla. Valencia put an end to a terrible run and are slowly on a rebuilding phase. The Bats are now the team we know them to be, competitive and very difficult to play against. The hosts are unbeaten in their last 13 matches including winning their last four. Getafe scraped through Huesca last week to keep their dream fourth position. This is a big match for Valencia and a win here will put them back in contention as they are six points behind their opponents. A cagey affair on the cards so back these sides to cancel each other. Javi Calleja is desperately trying to pull his team from the clutches of relegation as the season has entered its final stretch. With just 33 more points to play for, the squad is currently one point from cut-off, and worryingly, all other teams in contention have raised their level much higher with teams like Huesca now winning matches. A win here will put the hosts in a very good position in their hopes of surviving relegation. Rayo Vallecano have lost their last six matches and things are getting worse for the visitors. Goal scoring is their biggest problem, if they are to survive the axe they will need to sort out their problems in the last third. Get on the Yellow Submarine to win this crucial encounter. Real Betis and Barcelona wrap up the weekend when they lock horns at the Benito. Betis handed Barcelona their first defeat of the season when beating the Catalan giants 4-3 at the Camp Nou earlier in the season. This is a different ball game and the stakes are much higher now with Barcelona so close to defending their tittle and they will want to do it as quick as possible so they can focus on other competitions. Get on Barcelona to win at 4/10.